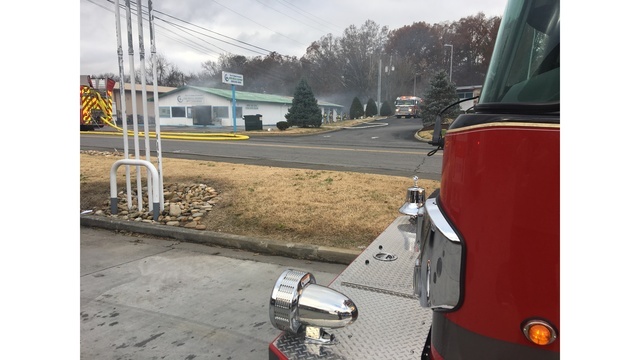 SEVIERVILLE, Tenn. (WATE) - The Sevier County Fire Department says they are continuing to work a structure fire Saturday afternoon on South Blvd. A captain with the fire department says there were apartments behind the structure that was on fire. They thought about evacuating the apartments due to the wind, but decided the apartments were fine. The Sevierville Police Department is reporting that South Boulevard is still closed due to a structure fire. South Blvd is still closed from Parkway and Hollywood Cr due to a working structure fire nearby apts are being evacuated. Please avoid the area. The police department reported via Twitter that South Boulevard is closed from the Parkway to Hollywood Circle. Nearby apartments are being evacuated. Police are urging people to avoid the area. This is a developing story. Stay with WATE 6 On Your Side as more details become available.